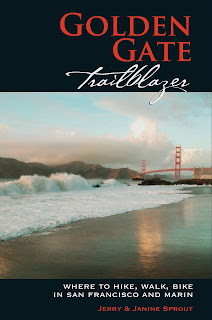 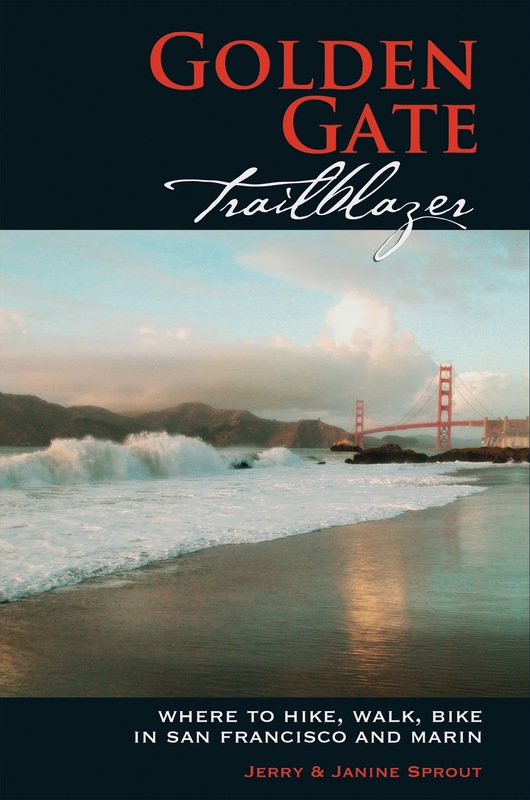 We know that many of you in the Islands head to the Mainland for the holidays, and when you do, we've got you covered: Golden Gate Trailblazer is a guide to San Francisco and Marin County, and Alpine Sierra Trailblazer takes you down the east side of the Sierra on the way from Reno to Las Vegas. 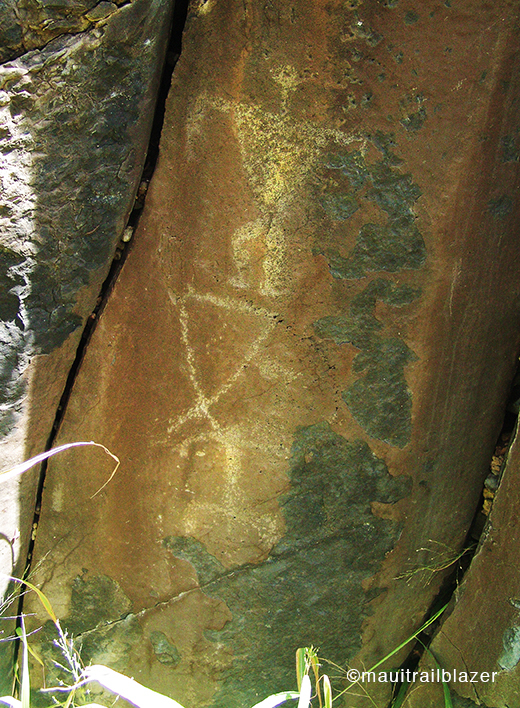 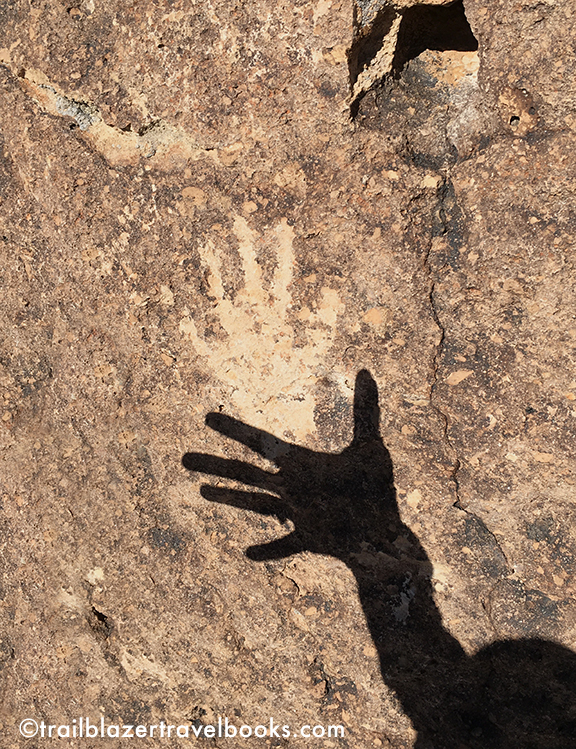 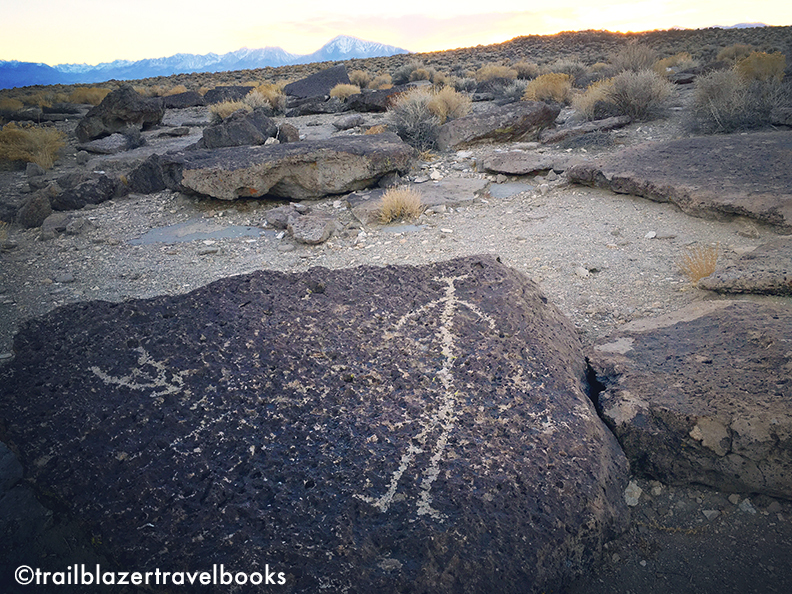 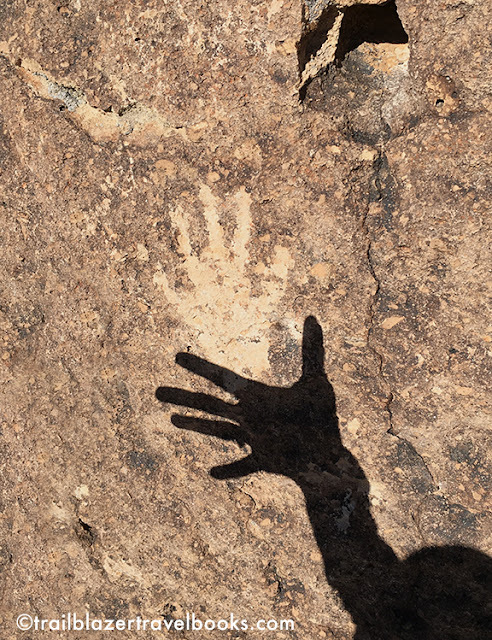 You don't have to get far from Highway 395 to see petroglyphs that will remind some of those found in Hawaii, particularly on the Big Island. This figure will be familar to anyone who has visited the fields at Hawaii Volcanoes National Park and South Kohala, but it was crafted just north of Bishop, California. 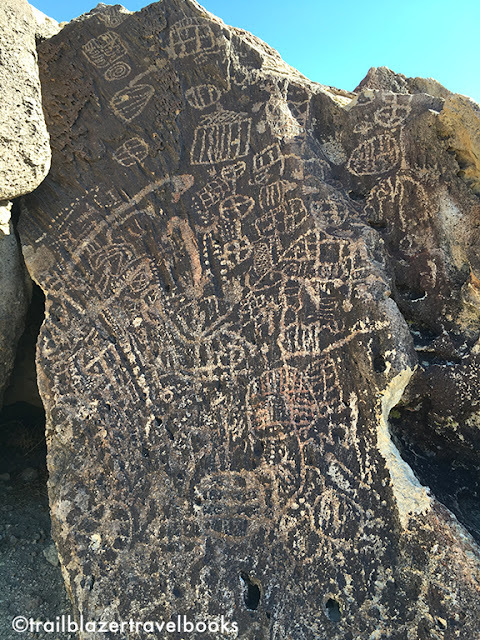 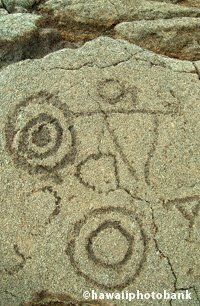 These densely packed rock etchings look more like those in Olowalu on Maui, but they were made south of Mammoth, California. 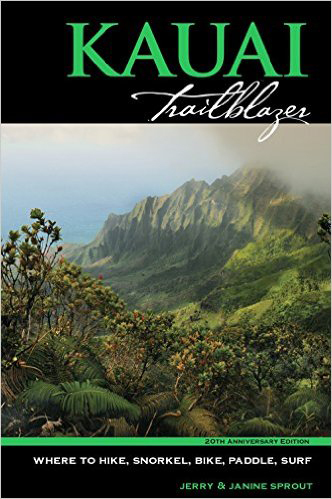 Trailblazer guides are for lovers of the great outdoors and those who appreciate the cultural treasures left by explorers who have gone before us. 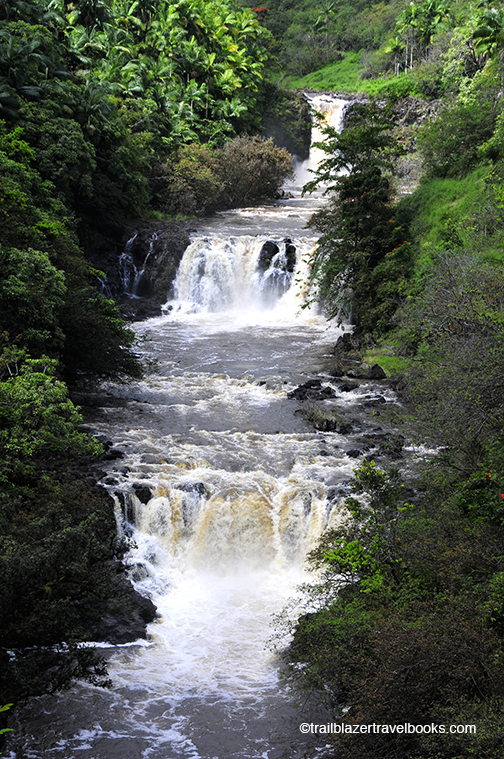 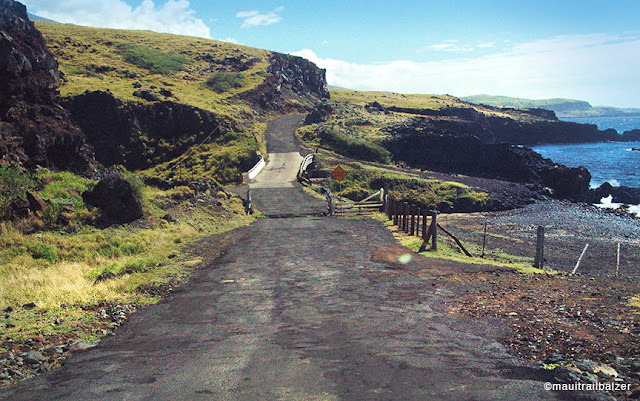 The end of the road on the Big Island's lush northeast coast is the gateway to another world altogether. 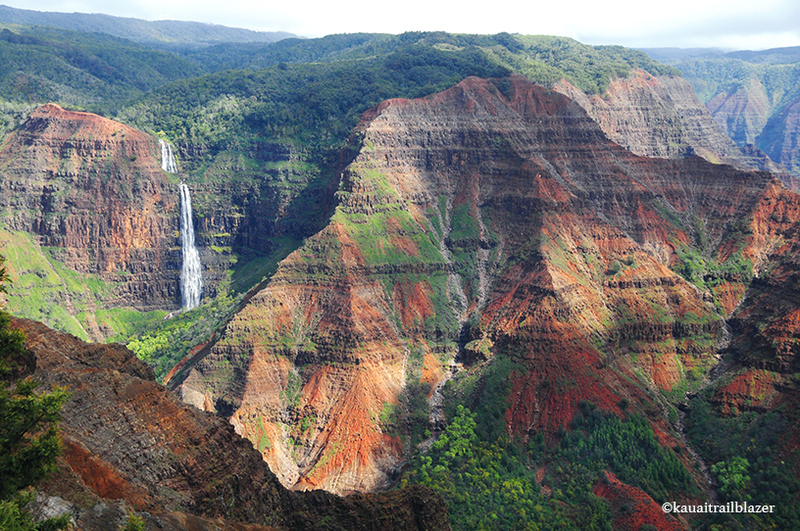 Towering cliffs border the valley on all sides, framing a wild beach. The Muliwai Trail zig zags up from the far end of the beach, beginning a 20-mile journey through roadless jungle—a trail similar to, but much less popular than, Kauai's Kalalau Trail. 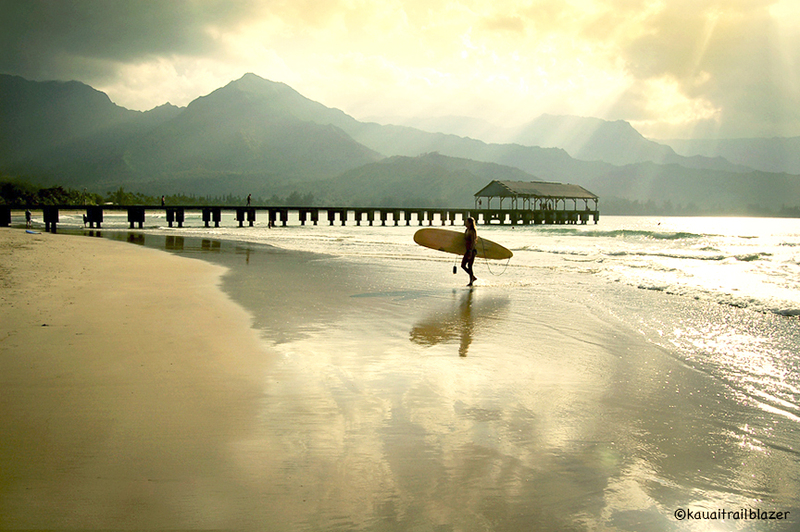 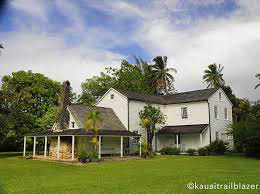 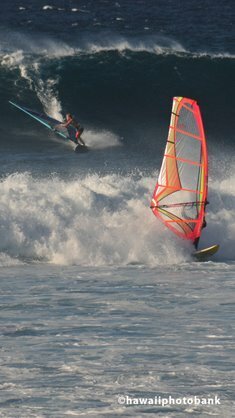 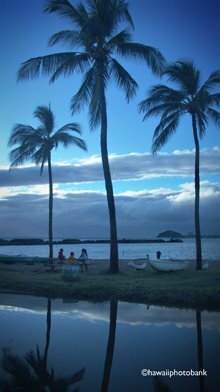 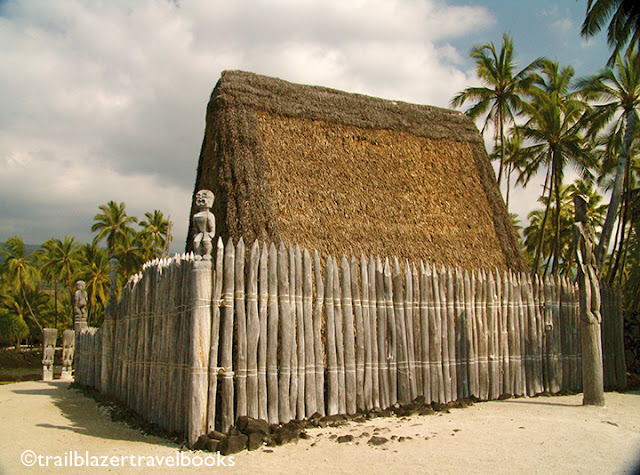 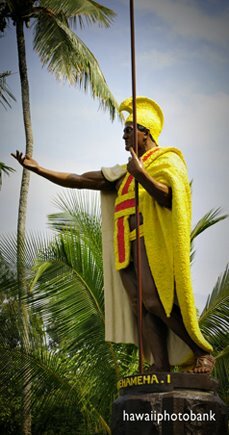 Kamehameha the Great spent his youth in Waipio, surfing and developing the skills that would make him king of all the islands. 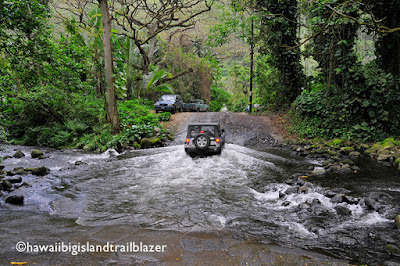 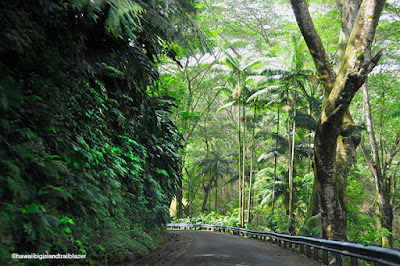 The road into Waipio is a for-real four-wheel drive route. 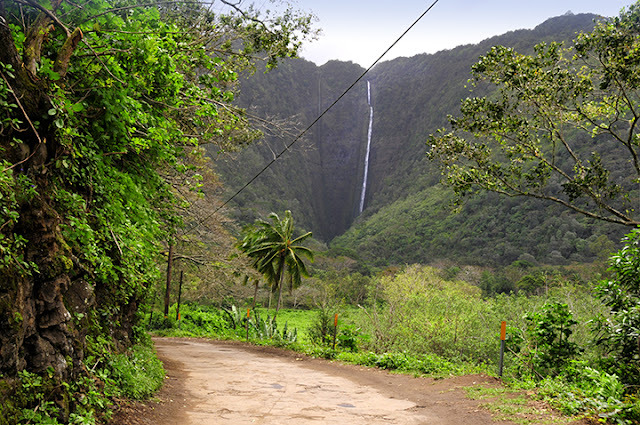 Several van tours will take you down. 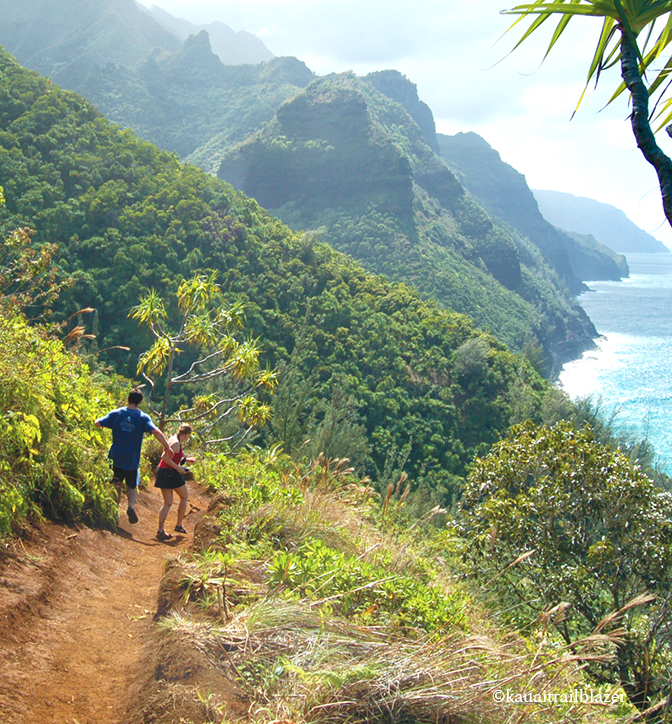 But—hot tip— you can also walk down the 500 feet in about 20 minutes. 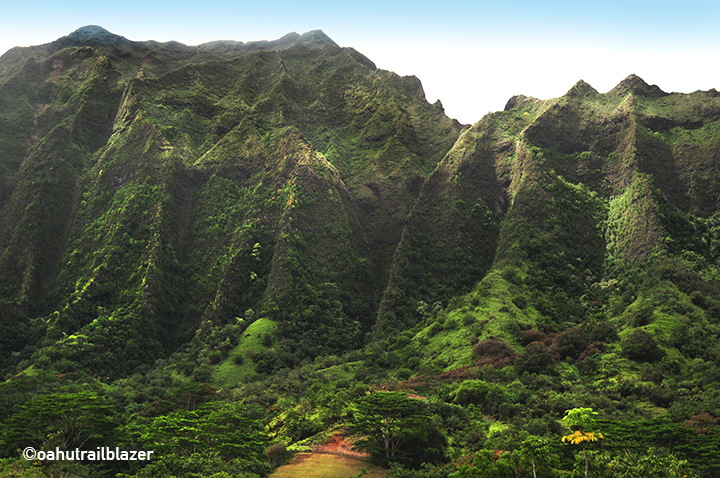 There is room to roam at the bottom. 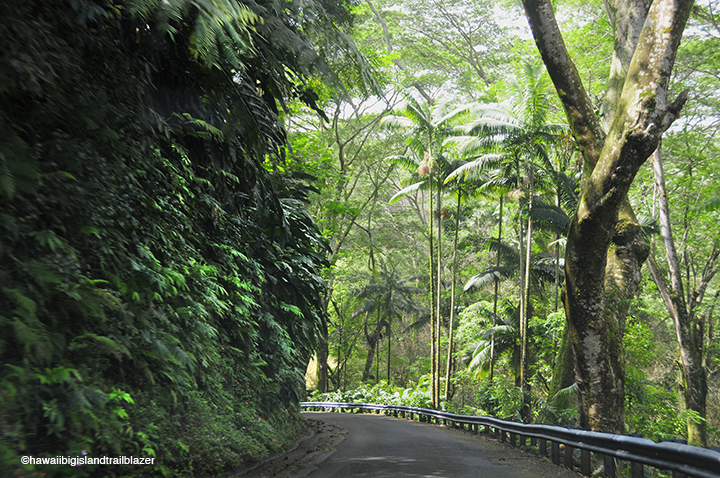 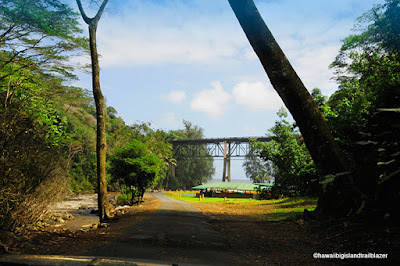 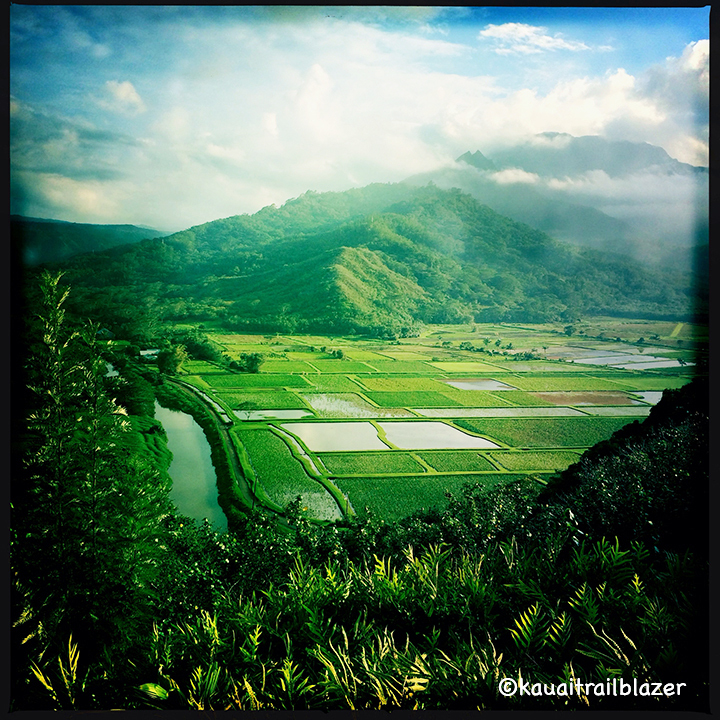 One of the best adventures is to head up the valley, where taro is grown today as it has been for centuries. 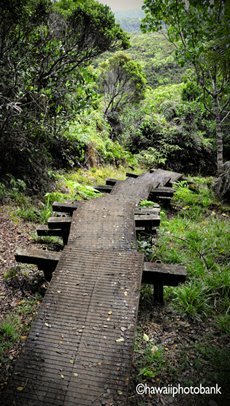 The trail is a little tricky. 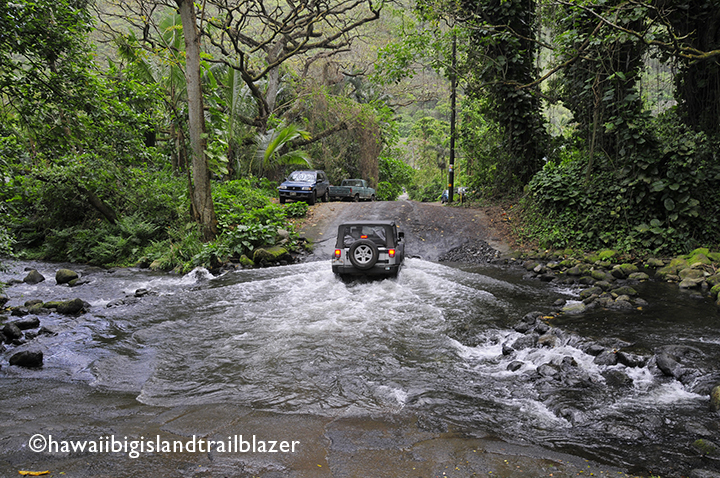 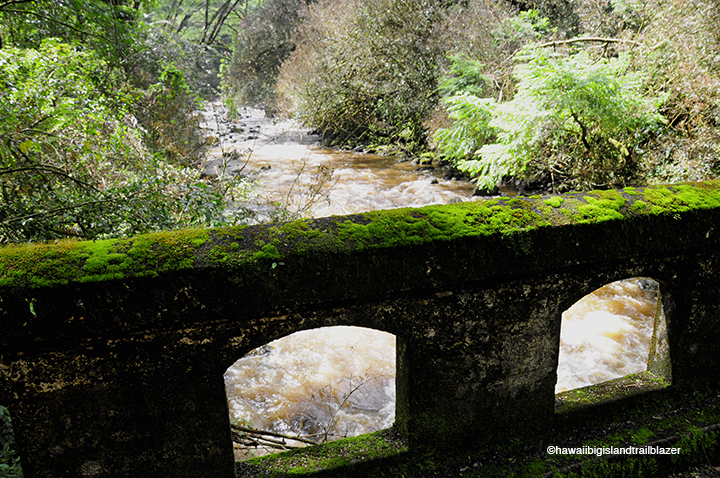 You need to go up what appears to be a stream, but quickly turns into a dry, rutted road. 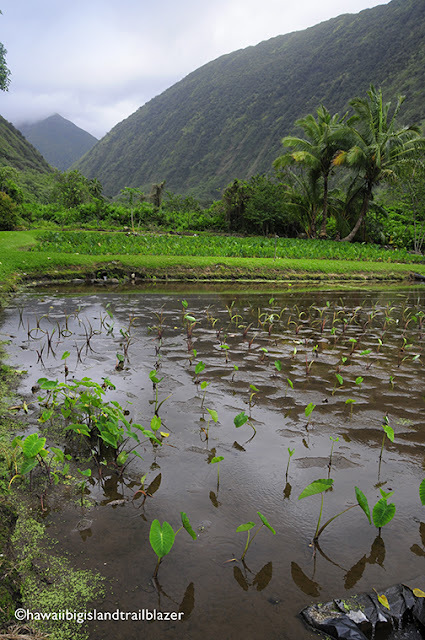 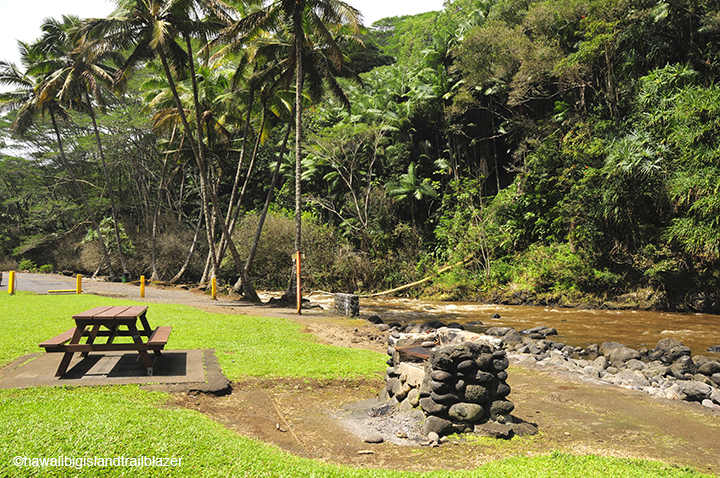 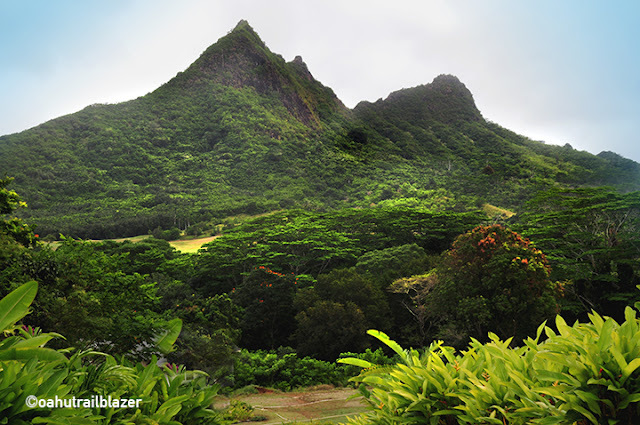 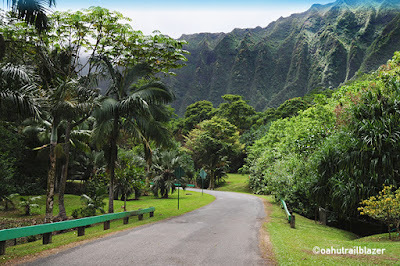 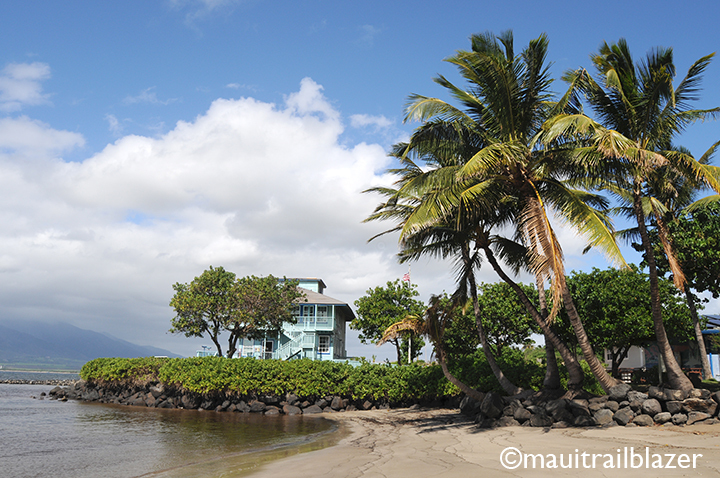 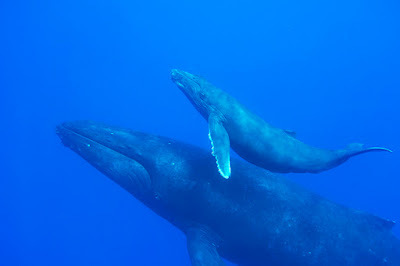 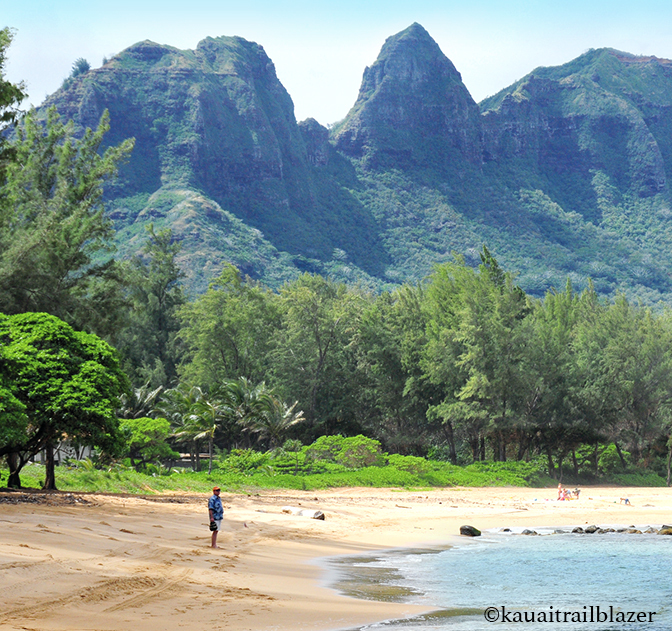 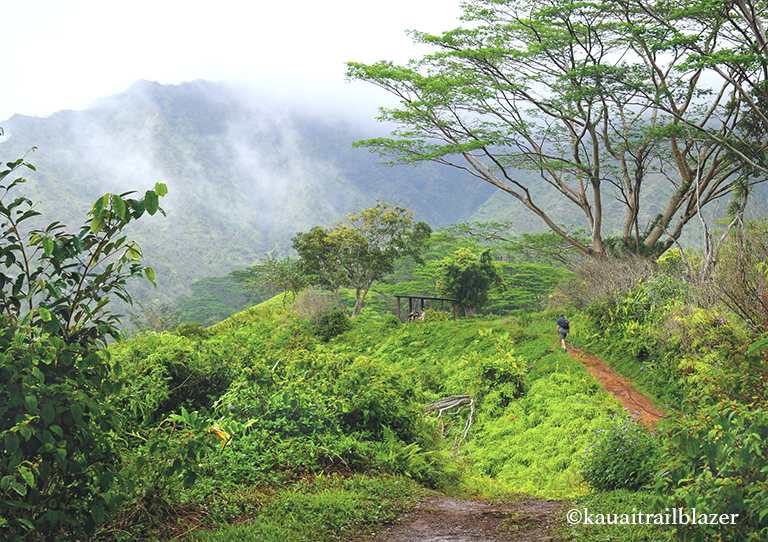 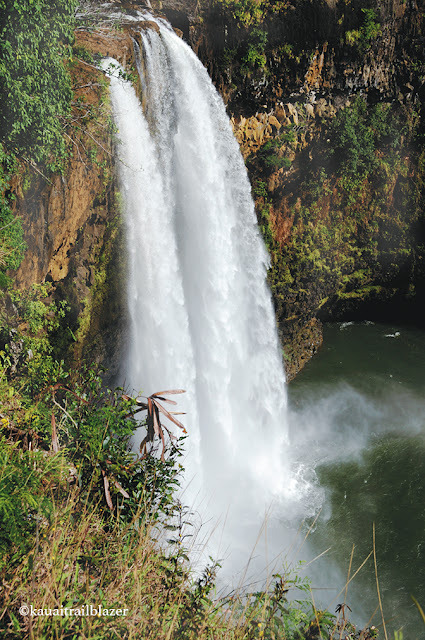 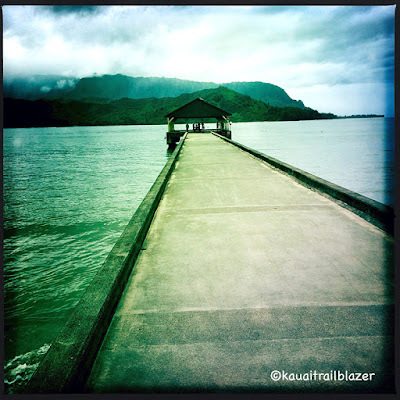 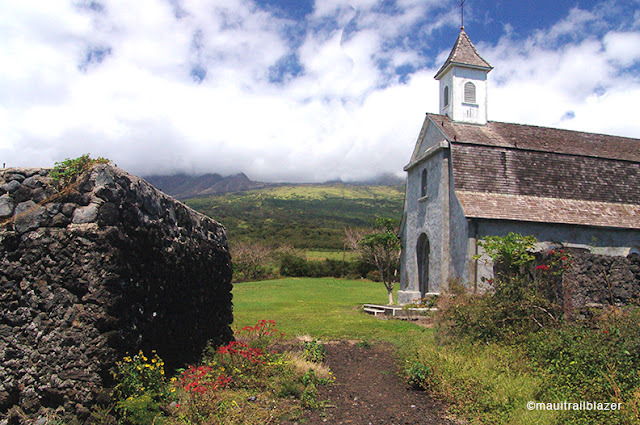 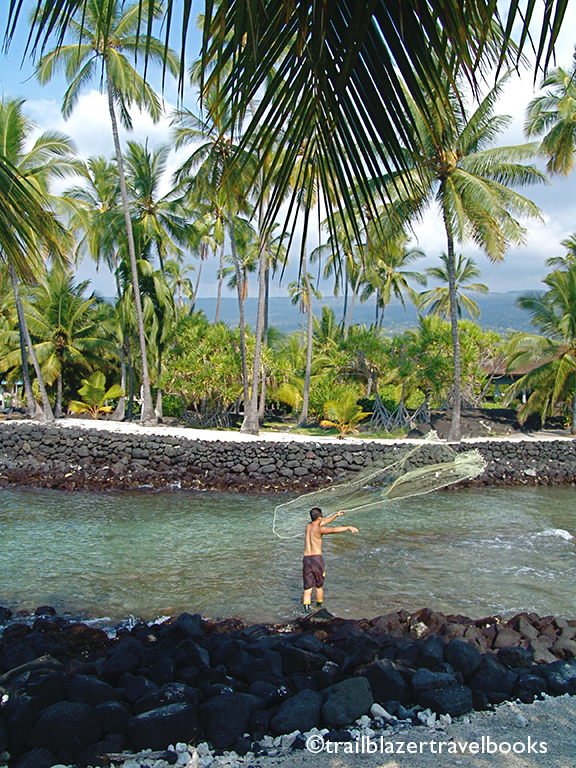 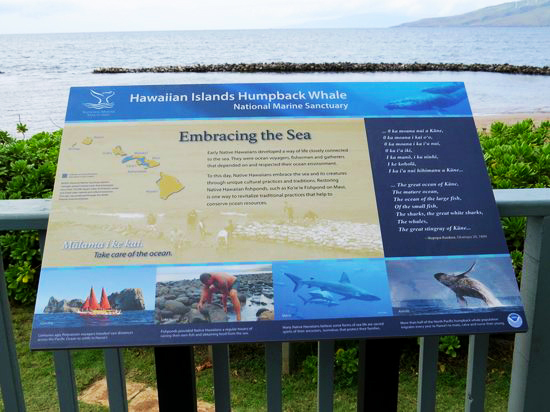 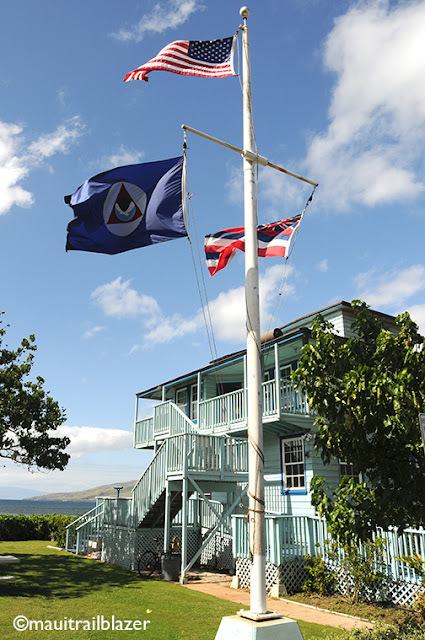 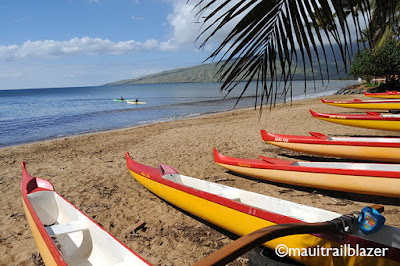 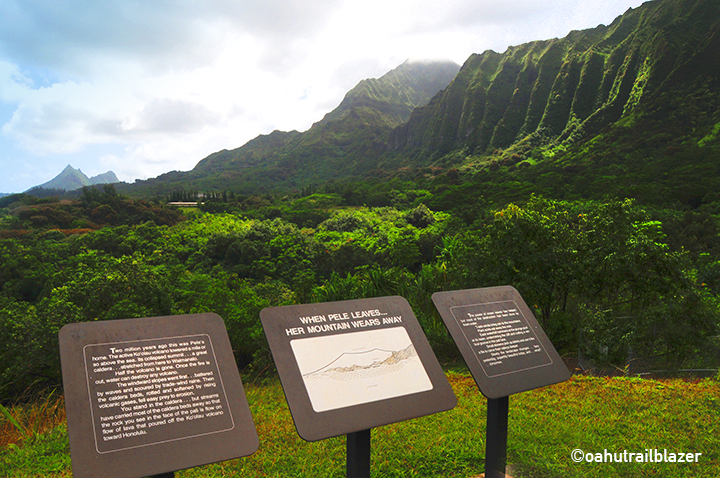 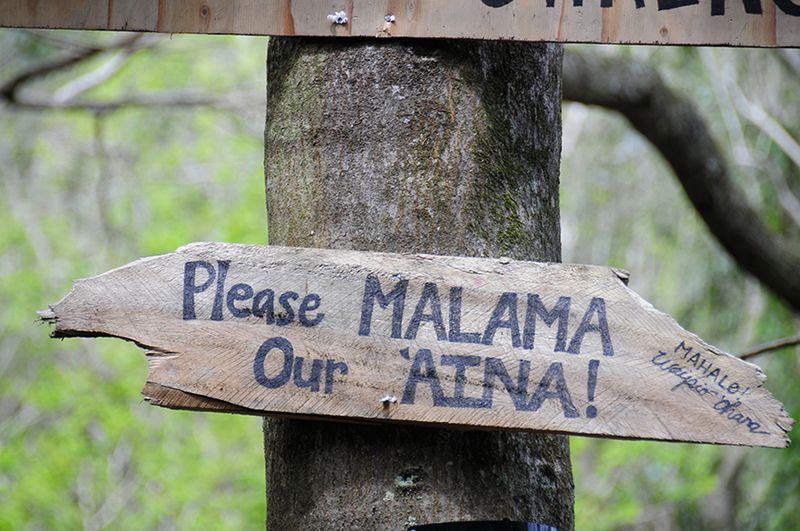 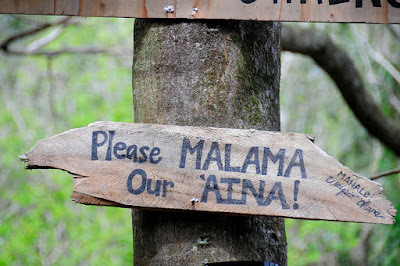 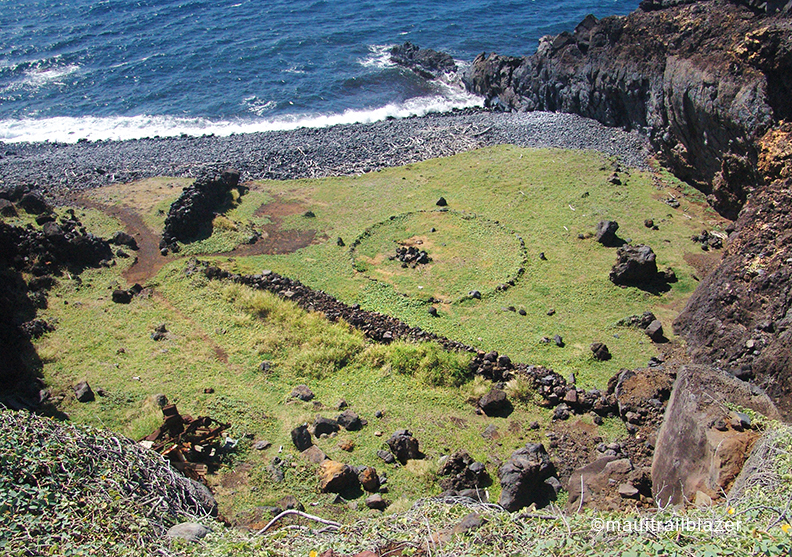 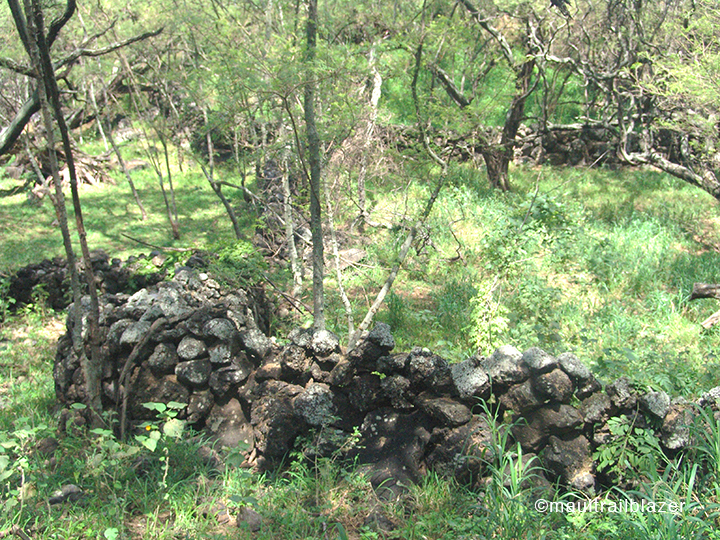 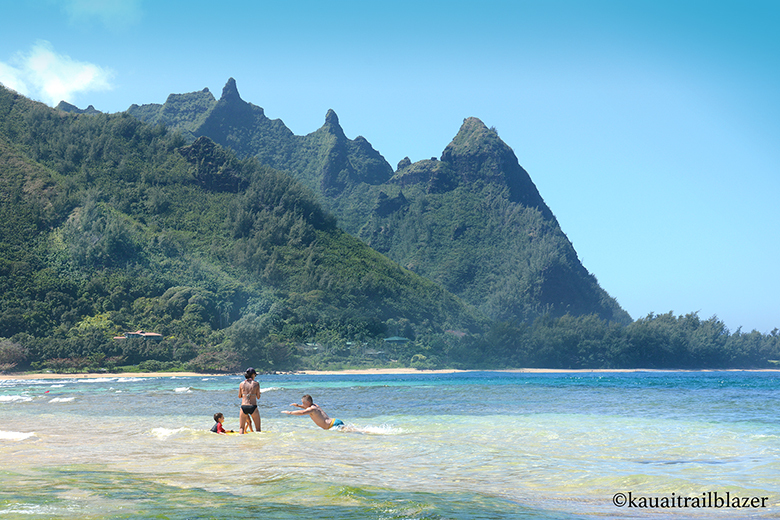 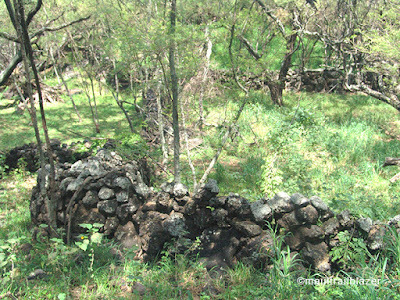 A number of people call Waipio home, all of whom ask visitors to "Respect the Land." 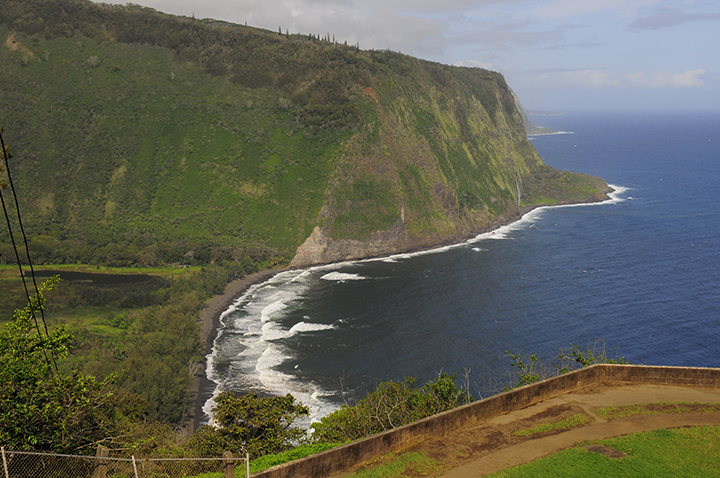 You get a good look at the valley from the Waipio Lookout. 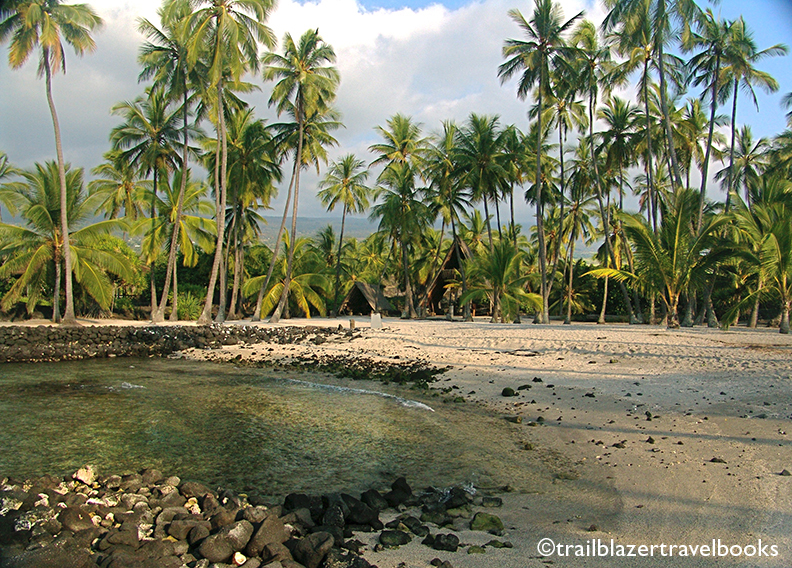 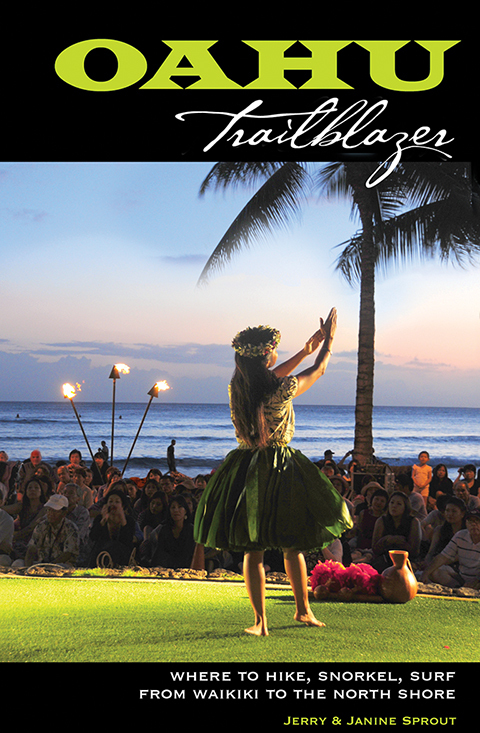 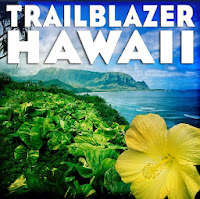 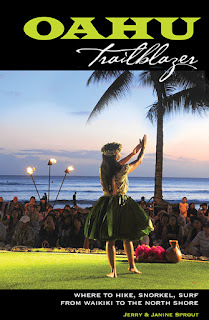 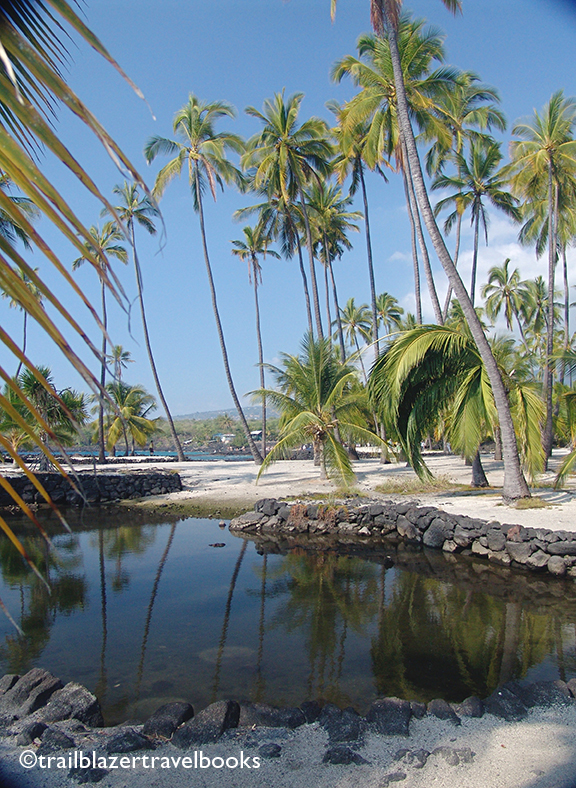 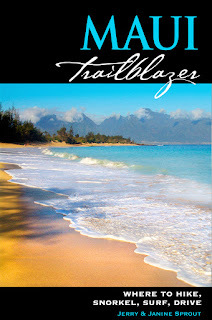 Hawaii the Big Island Trailblazer has all the details. 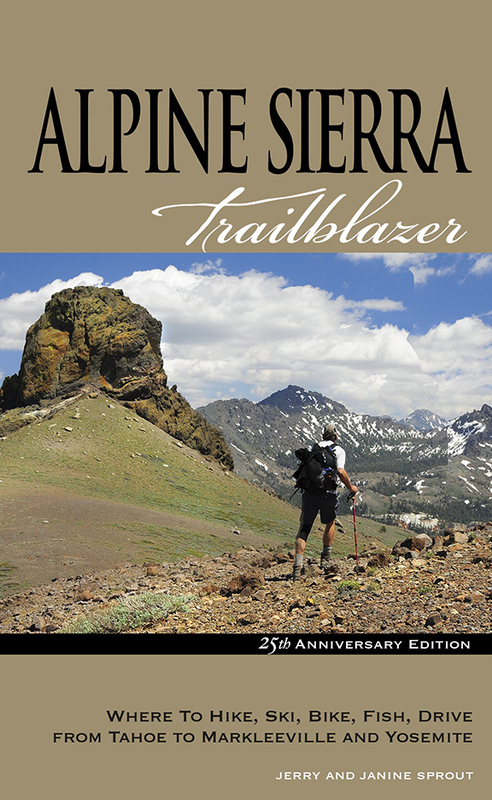 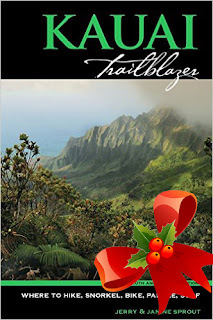 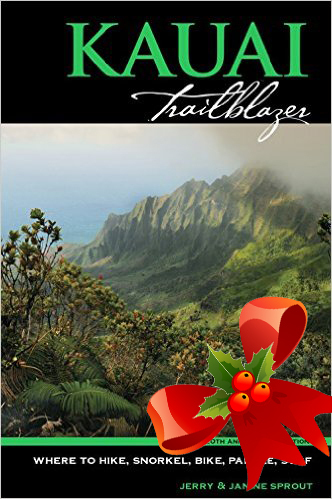 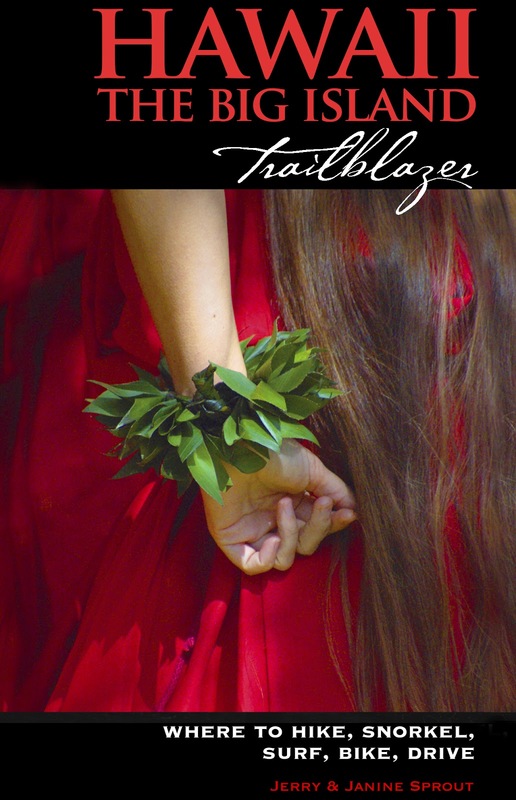 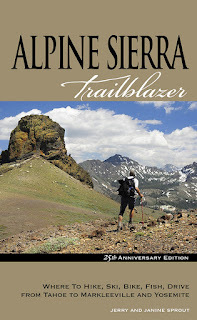 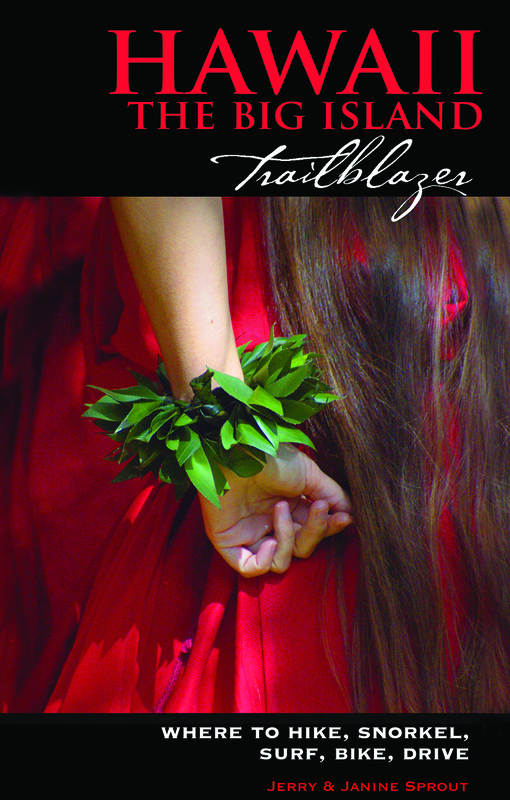 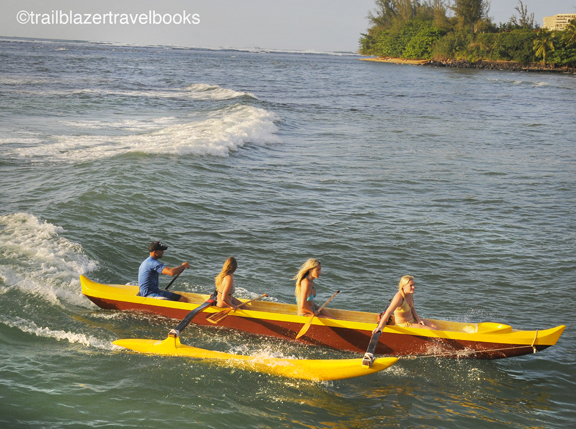 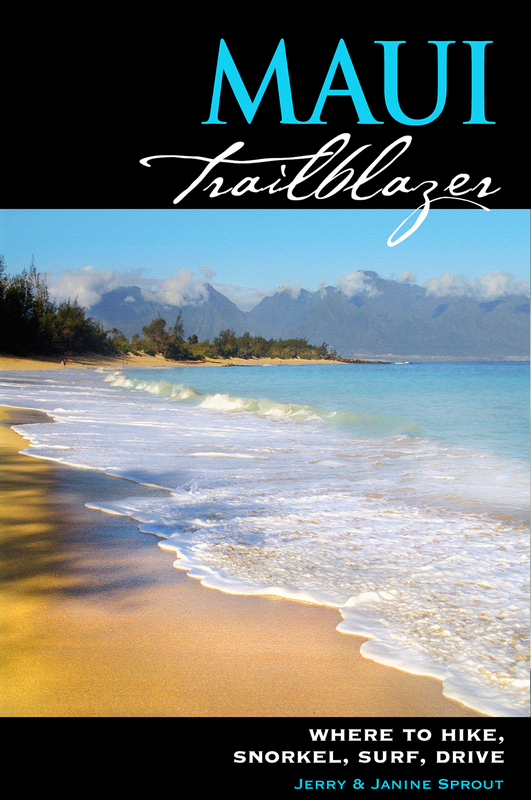 Save money money buying multiple copies of Trailblazers: Buy 2 and save 20%; buy 3 and save 30%; buy 4 and save 40%. 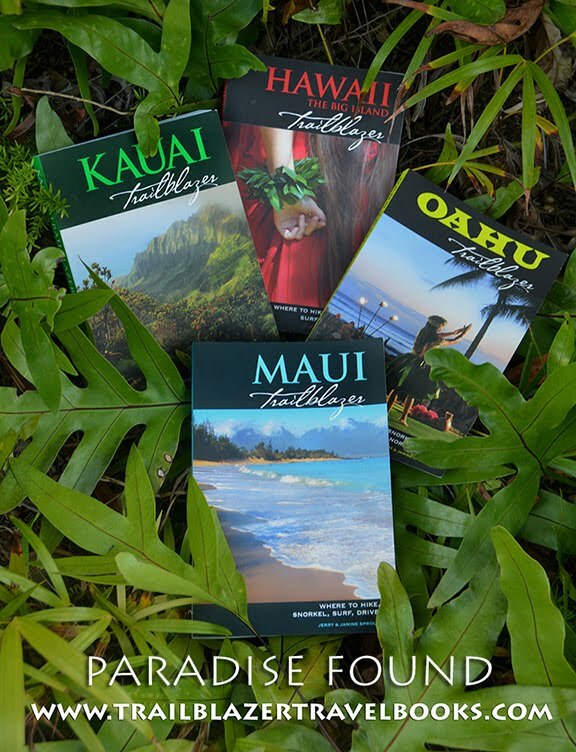 All with FREE shipping. 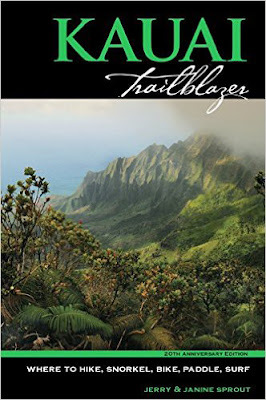 Email trailblazertravelbooks@gmail.com and let us know which among the eight titles you would like.